Today am presenting a sweet from my hometown (Karnataka, India), which is my Father-In-Law’s favourite dish. On the occasion of his birthday would dedicate this sweet to him. He loves both Badam Puri and Basundi so tried the variation, where I could serve both favourite dishes in one. 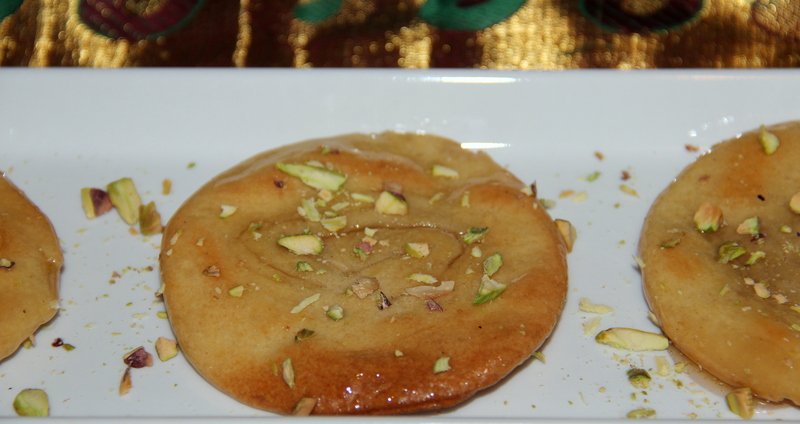 This is a yummy soft and crispy delicacy where deep fried puri’s are soaked in sugar syrup and served. I opted to bake the puri’s and coated with honey as well served with Vanilla milk. 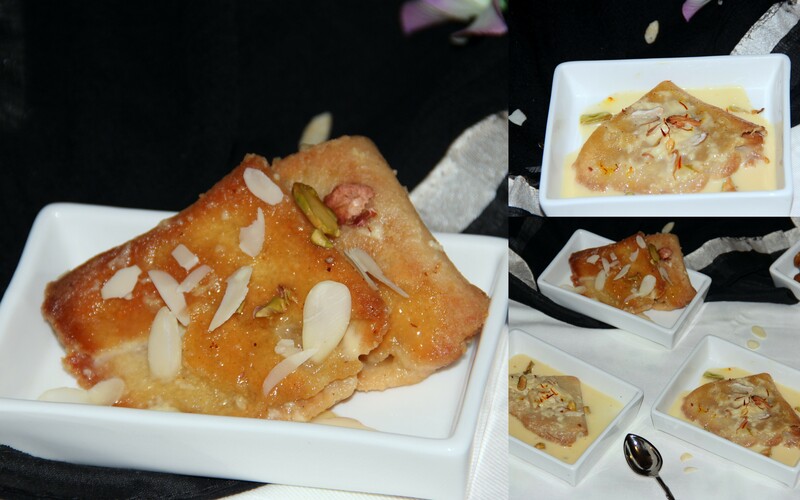 Chirote is festivals favorite sweet dish in India. Here the two-three rotis are topped on each other and corn starch and ghee paste is spread to retain the layer and rolled.